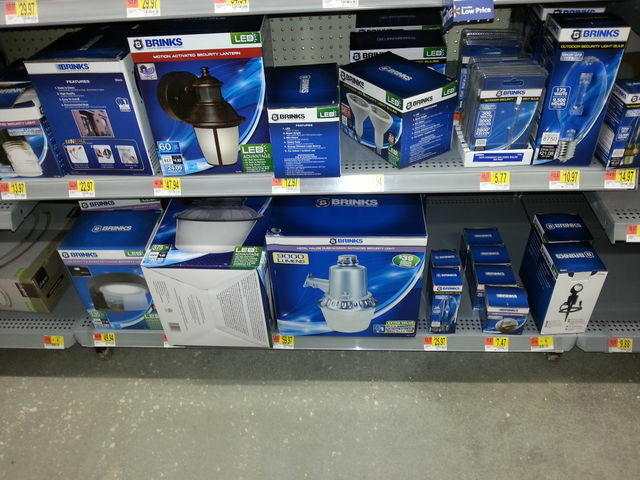 Here's what Walmart sells for HID and some halogen, HPS, MV and MH lamps. Checked this section out at my walmart. Literally same thing. Same items. Same spots on the shelf. Same prices. At least they're consistent! I was actually surprised to see 175W MV lamps at Walmart, despite being crappy Brinks/Caster lamps. Feb 10, 2019 at 07:27 PM Author: Cole D.
They still sell the MH one there? Because in the last few months, I'd noticed they don't sell it here now. A year or two ago they had MH and HPS, then MH only and now no HID except the replacement lamps. They had replacement lamps. Now that you mention it I'm not totally sure on the yardblasters. I know they have the one on the left that's either CFL or LED or something. My Walmart has some of the older Brinks MH yardblasters (the kind that look like a normal yardblaster). It's not something I would spend 60 bucks on though. Nah me neither. Wouldn't spend 60 bucks on any residential grade fixture. Feb 10, 2019 at 07:59 PM Author: Cole D.
Me either. I wouldn't buy any of them unless they were $10 or less. I'd rather get NEMA heads, as I find them more interesting, and better looking.